Are You Exposing Yourself To Unnecessary Danger? Do you take laxatives after bingeing or bingeing and purging, hoping they will counteract the consequences of bingeing or perhaps finish off what throwing up didn’t? Could this practice be making you vulnerable to the dangers of laxative abuse? The myth that taking laxatives can compensate for bingeing or over eating is prevalent, so purging with laxatives is common in bulimia. And like so many myths, this one is untrue. You cannot rush food out of your body before it has been absorbed with laxatives, nor will they get rid of unwanted calories. The thing is laxatives ONLY work in the lower part of the digestive tract (large intenstine), by which point most of the food that’s been eaten, has been absorbed (by the small intestine). Any ‘weight loss’ is a temporary loss caused by the loss of water and returns once the body is re-hydrated. Laxative abuse is dangerous for your health. Purging with laxatives and over use of laxatives is dangerous for your health and can result in some serious, even life threatening conditions. This is a very high price to pay for something that simply does not provide the solution you think it does. So, what is laxative abuse? Laxative abuse is defined as taking more than the stated dose or taking them more frequently than recommended. If you are purging with laxatives or frequently need laxatives, it is highly likely that you are abusing laxatives. 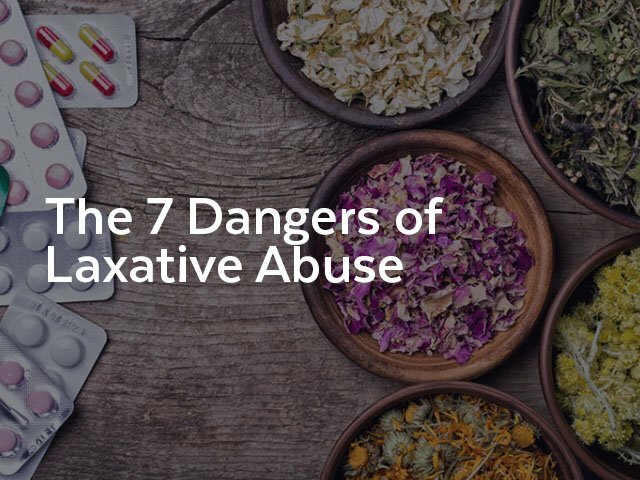 Below are the seven most common dangers of laxative abuse and what it can do to your body. If you are experiencing any symptoms I urge you to see your doctor. Laxatives artificially stimulate the large intestine to empty but rather than contain calories, these bowel movements contain mostly water and laxative abuse can lead to severe dehydration. You may think that you simply need to drink more water to minimise this risk however it is not that simple. Often cells and tissues are not hydrated fast enough and it is common to experience dizziness, fainting, tremors, blurry vision, weakness, organ failure and, in the ‘worst case scenario’, death. Severe cases of dehydration require medical intervention. Along with the water, vital electrolyte minerals, phosphors, calcium, magnesium, potassium and sodium, are lost from the body, causing an electrolyte imbalance. These minerals, required to be kept at a delicate balance, help the communication between our cells and as such are essential for normal brain, nerve, heart and muscle functions (including those of the colon). Any imbalance or disturbance is potentially very harmful and can lead to nausea, fatigue, muscle spasms, pain, an irregular heartbeat and even death. Using laxatives in the hope of reducing the consequences of bingeing or to lose weight, stops the colon reacting normal doses. To obtain any bowel movement it becomes necessary to ingest higher and higher doses. Over time the muscles in the digestive system become weaker and the delicate nerve lining of the colon becomes damaged, causing a lazy or spastic colon, IBS and ultimately colon failure, a common condition in bulimics who abuse laxatives. Studies have also suggested that laxative abuse can increase the risk of bowel tumours and colon cancer, as the increased inflammation and irritation caused by the laxatives increases the odds that cells will develop abnormalities. Laxative abuse damages the immune system and so the body unable to fight off infections, becomes far more vulnerable to serious disease and illness. The intestines harbour many good bacteria that positively contribute to overall health and these good bacteria become compromised with the over use of laxatives. The kidneys remove waste product from your body and filter your blood. To function correctly the kidneys need a good supply of water however due to the dehydration that occurs with laxative abuse, there is a shortage of water in your body meaning the kidneys cannot work properly. This can lead to serious kidney damage which affects other parts of the body due to toxins not being flushed out. Ultimately it can lead to complete kidney failure and comprises the health of the whole body. There are many causes of depression in bulimics but when laxative abuse occurs, these causes are increased. The lower levels of electrolytes in the blood stream lead to low mood and fatigue. Brain function and mood can also be influenced by the changed levels of essential minerals. You may also feel nauseous, bloated and suffer from cramps and muscle pain. All of these factors contribute to your thinking and mood, often culminating in depression. Ironically, laxative abuse can INCREASE the frequency of bingeing and purging and thereby increasing the exposure to the associated dangers of both these behaviours. Many of the side effects of laxative abuse, for example low mood, bloating, feeling fat, fatigue are all common triggers for bingeing. Do NOT compensate for a binge. I trust you feel motivated to make the necessary changes. I know what it feels like to believe in and depend on laxatives but they will never get you what you want. 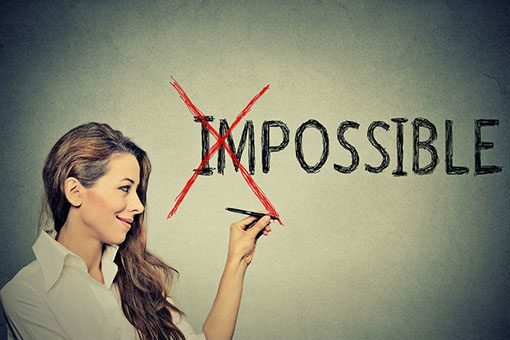 If you feel you are ready to break free from bulimia or are at least curious to find out how, please feel free to get in touch and see how I can help you take the first step.